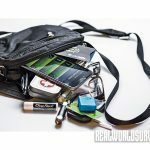 Take a look at these everyday items can fit in your purse and save you in a crisis situation. 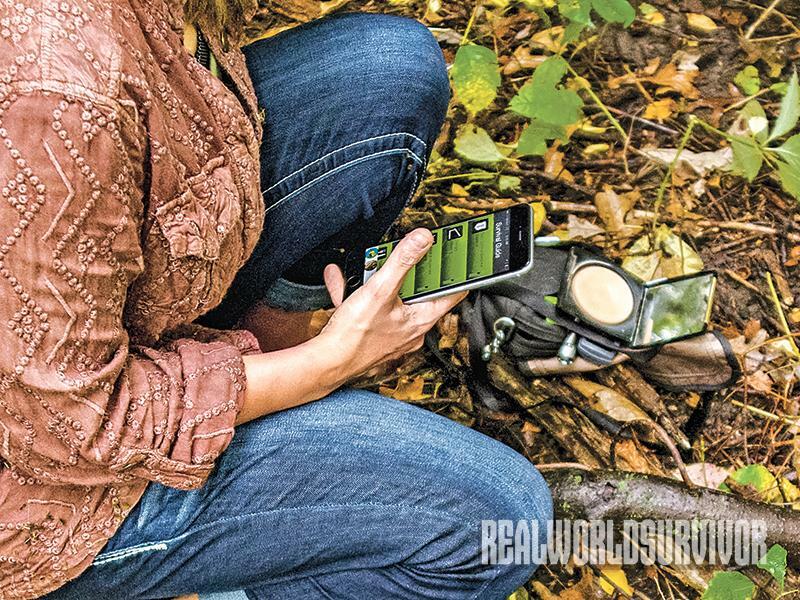 Apps on your cell phone can help you survive in the wild—assuming you have enough of a charge. 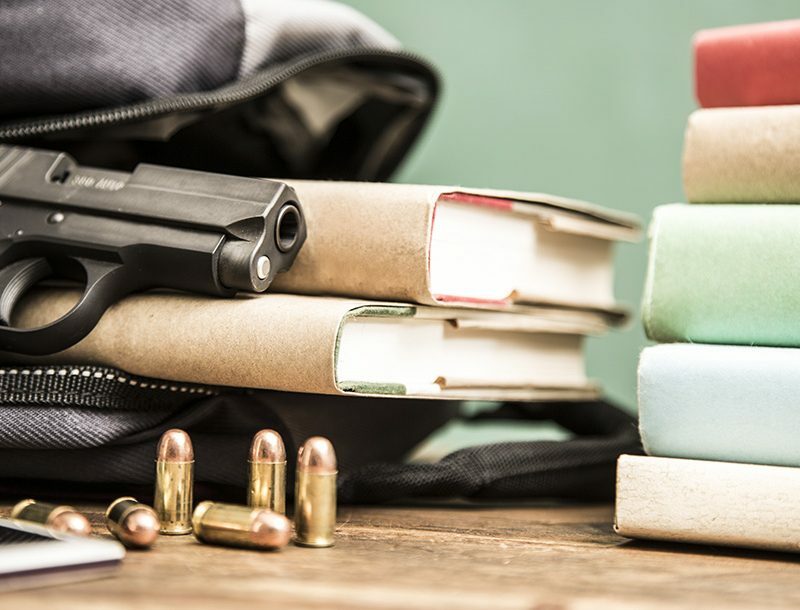 When considering the items you carry or may want to carry with you on a daily basis, it is important to remember that survival is contingent on these seven priorities (in order of importance): mindset and planning, provide first aid, seek shelter, build a fire, signal for help, drink water and find a food source. Never underestimate the characteristics of the bag you carry your everyday items in. 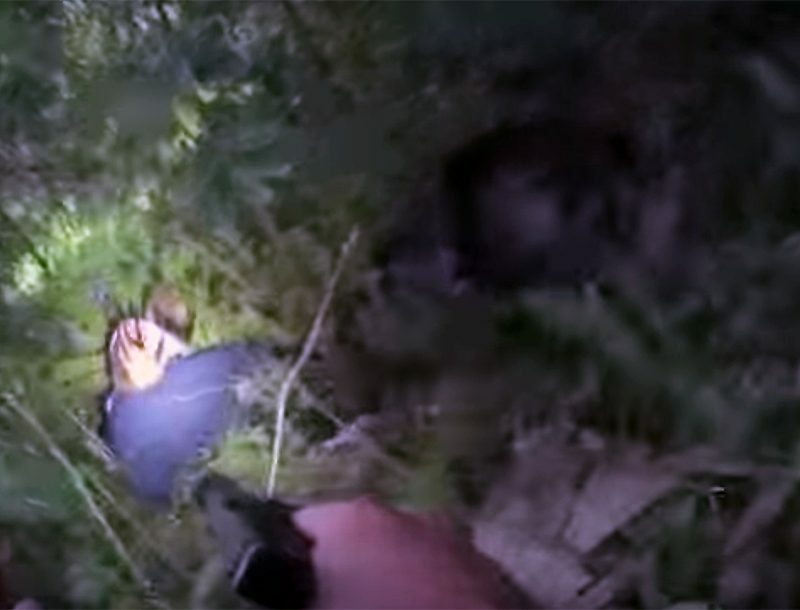 Consider choosing one with qualities that can be useful in a survival situation. A purse’s construction, material and size could provide additional survival tools like a method for capturing water, or tearing it apart for bandages, tinder and binding. Here are five items that many women already carry that have the potential to aid in meeting some of the aforementioned survival priorities. A lip balm containing bee’s wax and lanolin (a fatty substance found naturally on sheep’s wool) provides for many uses beyond the obvious healing of cracked, dried lips. Lip balm can also be used as a lubricant for tools, to remove rings from fingers, to stop minor bleeding, to prevent blisters, protect the skin and as a slow-burning fuel for fire. 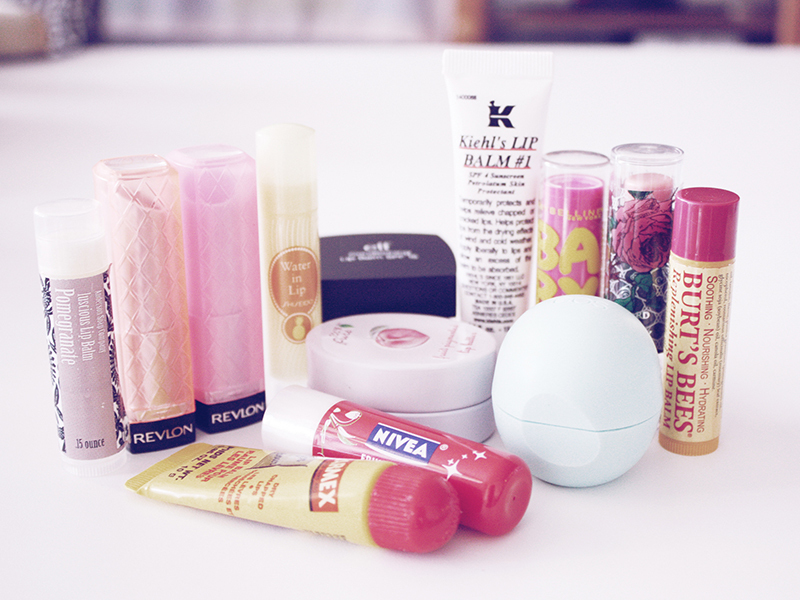 Many lip balms contain a sun protection factor (SPF) rating as well, further protecting your skin. Whether your emergency leaves you stranded in the sun or snow, lip balm will help you achieve the survival priorities of providing first aid and building or maintaining a fire for warmth. In a survival situation, the ability to build a fire for warmth or for a signal is important. 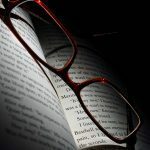 If you don’t have matches, a lighter (even without fluid) or some other fire-starting tool, reading glasses for those who are nearsighted and some sunshine can be all that is necessary to build a fire. Of course, dry kindling is needed to start a fire. The key to using reading glasses to start a fire is to focus the sunlight into a small circle (similar to using a magnifying glass). If you have trouble, you can add a drop of water to the center of the interior of the lens to create a biconvex lens that will bend the light and focus it. 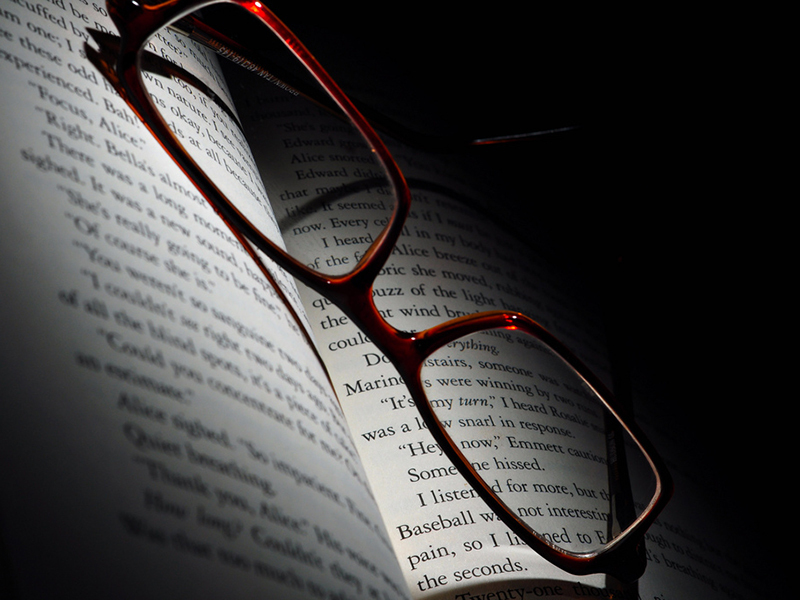 Reading glasses can meet the priorities of building a fire and signaling for help. Depending on the makeup you have with you, even carrying pressed powder can help you in a survival situation. Like the lip balm, many pressed powders contain an SPF, which can prevent sunburn. 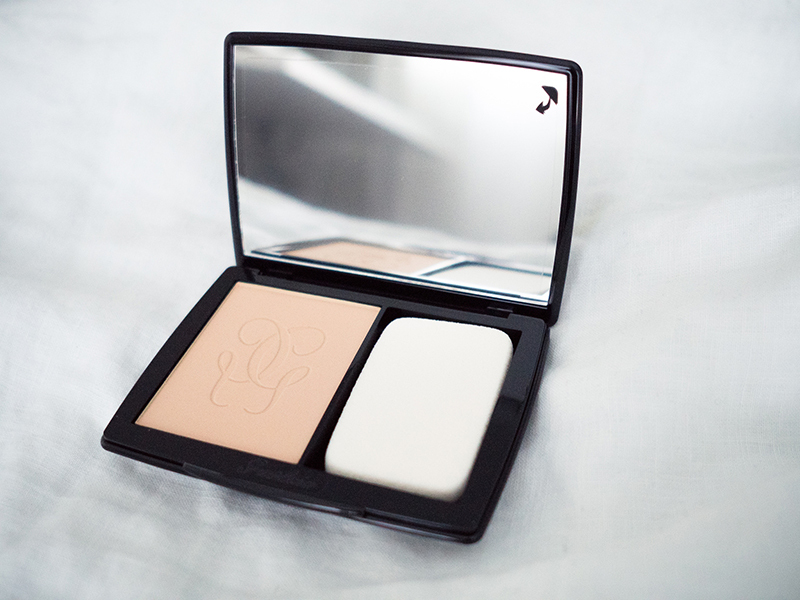 More importantly, however, is the mirror contained within the compact. 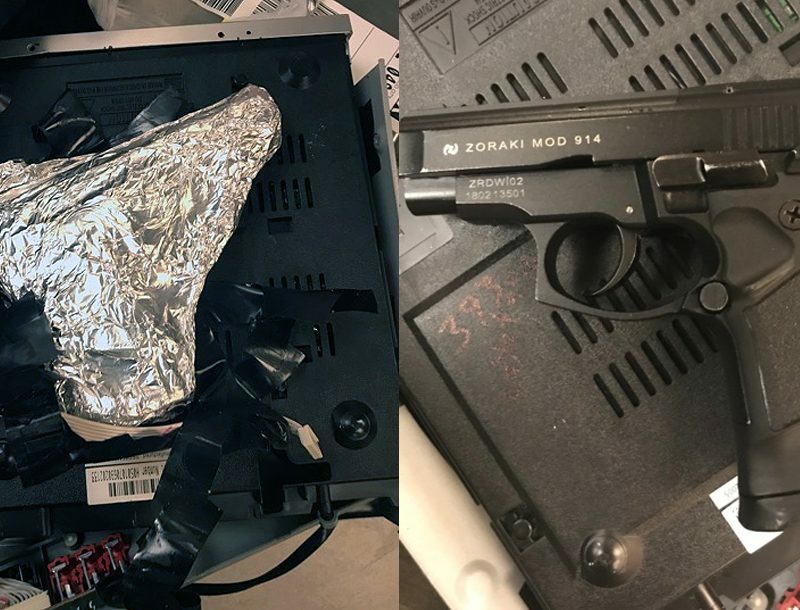 It can be pulled out and used as a signaling mirror and may be sharp enough to cut through certain items. 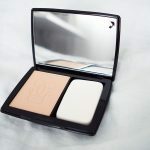 A makeup compact with a mirror can meet the survival objectives of signaling for help and offering first aid by helping you avoid a serious sunburn. 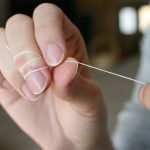 Although women may commonly think about carrying dental floss in their purse for the purposes of maintaining hygiene when out in public, packing this one item could be one of the smartest items in a woman’s bug-out bag. 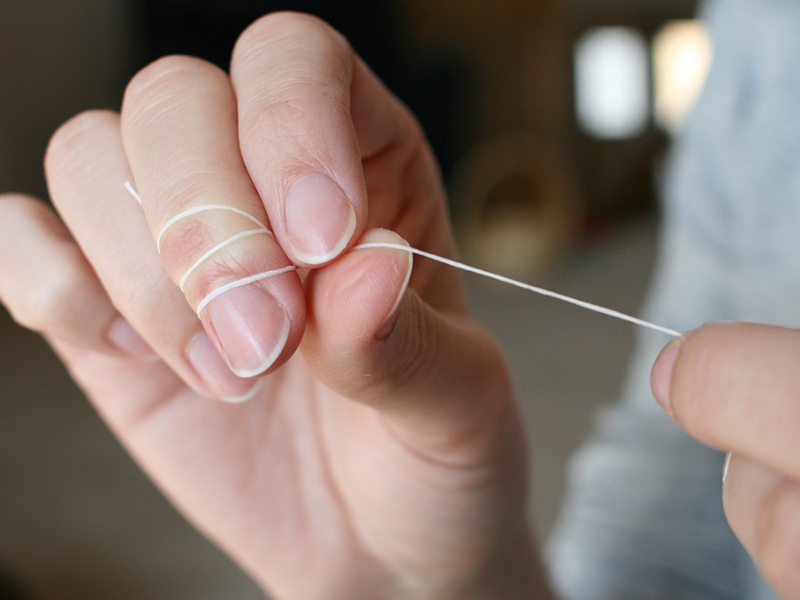 Dental floss is not only strong, but it is a compact and versatile item whose uses are only defined by the imagination of the woman carrying it. 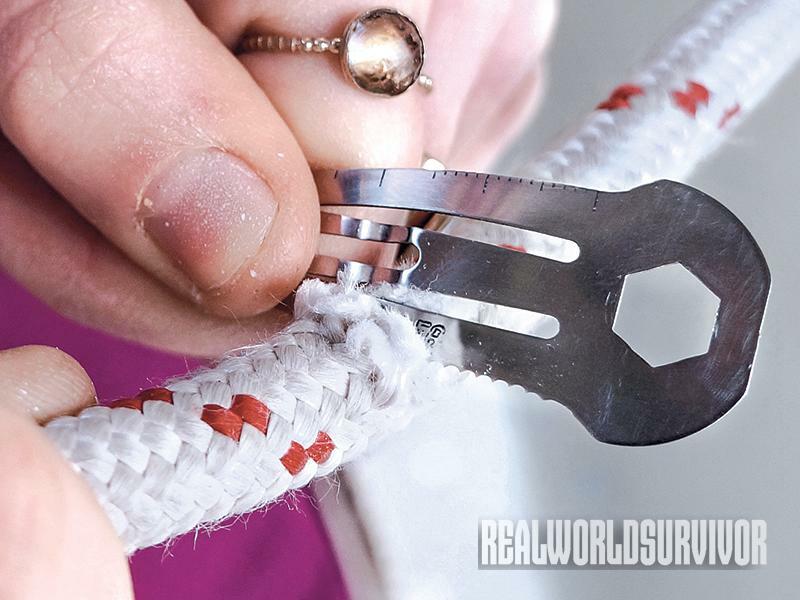 The most obvious uses for dental floss in a survival situation include using it to secure items, such as a shelter. Additionally, it can be used as fishing line, sutures, snares or simply to string things up in a tree, such as food. 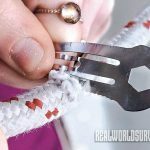 In the hands of a studied survivalist, dental floss can be used to make a bow and drill to aid in making a fire, or even as a knife to cut through softer items like meat. 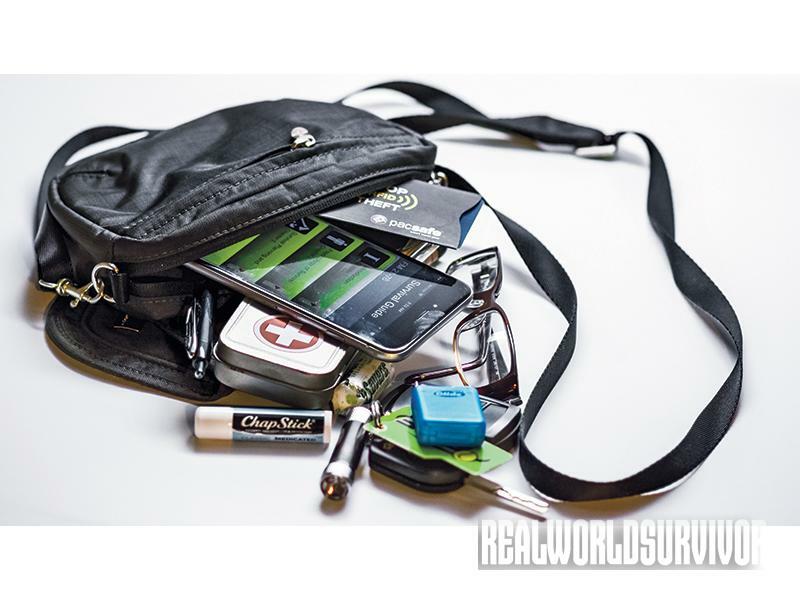 What to carry in your bug-out bag should be decided based on priorities. The prioritization should be based on the potential and varied uses each product could provide for both everyday life and unforeseen emergencies. 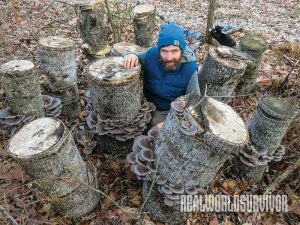 Survival requires a focus on what we have available and the employment of common sense and ingenuity in deciding how best to use those items. The key is to select items that have a wide range of uses yet are small enough to carry with you every day. Although it won’t do you much good if you forget to charge your cell phone, there are plenty of apps available that can provide you with much-needed information for survival. If you purchase apps that download onto your phone, even without a cellphone signal, you will be able to open these apps. 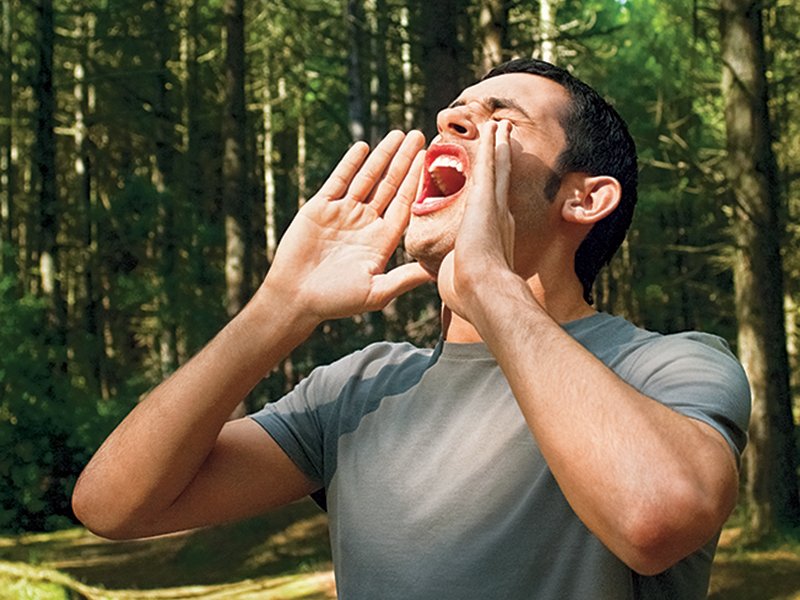 Many free apps such as Survival Guide, Survival and Army Survival Study Guide provide useful information on survival, from instructions on how to build shelters to first aid. There are also information-specific apps to help you identify wild edibles, use your phone as a flashlight and help you navigate on your surrounding terrain. It is important to note that if you don’t have a cellphone signal, you can salvage your cell phone’s battery life for use later by taking the following steps. 1. Turn off Wi-Fi, GPS and Bluetooth features. 2. Dim your cellphone display. 3. Turn off all push notifications. 4. Go into Airplane mode if there’s no signal at all. 5. Keep your phone in a cool place. Extreme temperatures (hot and cold) will deplete your battery. 6. Carry a self-contained charger (charged) with a cord. This article was originally published in the SURVIVOR’S EDGE™. Subscription is available in print and digital editions here.